Less than two decades ago, the idea of relying on a smartphone to capture one's dearest memories would seem ludicrous, but nowadays the best phones for photography have become objects of desire; chances are, even your grandma knows what "selfie" stands for, and she may not settle for a phone that doesn't have a dual-lens camera and optical image stabilization for her family videos… Or Snaps. The notion that so much of our individual lives could end up exposed (and reconstructed) in real time and with the touch of a finger once belonged in science fiction. Many say we've reached a point similar to that of George Orwell's novel "1984"; however, differently from the dystopian reality envisioned by the author – I mean, governmental surveillance aside –, current structures actually promote individualism instead of punishing us for it, and the role that our smartphones and their cameras have in our lives, relationships and interactions is pivotal to this. How did we end up live-streaming all things, from breakfast (hey, I'm not judging) to natural disasters? The mobile camera revolution began in the year 2000 for privileged consumers in South Korea and Japan, where the first built-in cell phone cameras were introduced. Yet, the groundbreaking technology featured in Samsung and Sharp models could offer 0.35 megapixels at best, which made it a terrible idea to rely on those devices to capture timeless moments – think of blurry, pixelated images that wouldn't even pass for some intentional retro effect. 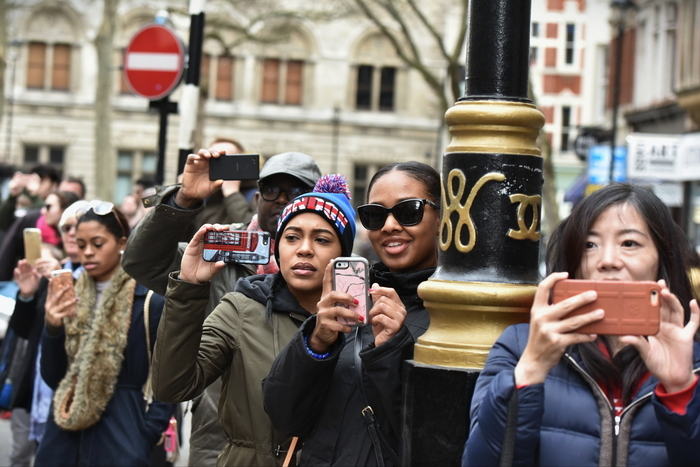 Today, one can safely rely on their smartphone to photograph, film, store and share any sort of moment: random happenings, loving memories, breaking news turned viral by common citizens and even pleas for help by people in war-stricken territories. Month after month, established and up-and-coming manufacturers add more possibilities to the mobile photography market – we're now offered impressive megapixels, optical image stabilization, 360-degree panoramas, dual cameras and lenses, multiple flash LEDs, advanced autofocus technologies, super-wide fields of view, and even 3D scanning with our phones. 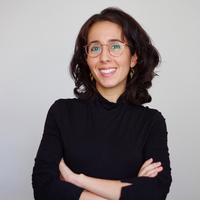 Moreover, social media platforms such as Instagram, Snapchat and Facebook have been incorporating more and more photo and video functionalities, allowing users to edit and share portions of their lives whenever they want, however they want… No wonder this increasingly-popular type of social media interaction, which as a matter of fact recreates realities, is known as a “story”. With many different specs and technologies to bear in mind, the task of picking a smartphone for photography may seem agonizing. Of course, unheard-of features have all the potential to make us, tech lovers, prone to impulse purchases, but it’s important to take a step back and consider crucial aspects for a conscious decision. If your biggest expectation for a smartphone is the ability to take striking photos and ultra-high-quality videos, you should take notice of aspects such as megapixels and maximum video recording resolution. You probably already know this, but just in case: one megapixel stands for a million pixels, and a pixel is the smallest element in digital imagery – a very tiny dot that, along with millions of other equally-tiny dots, forms the images we see on digital displays. 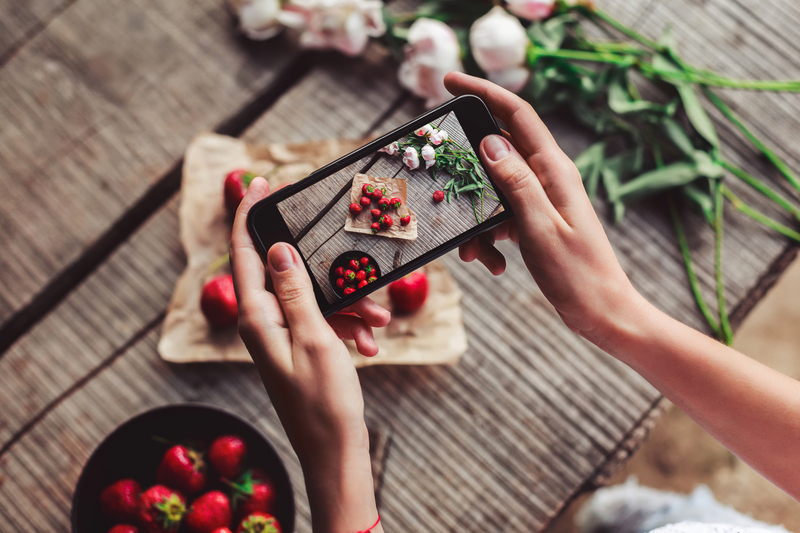 While high numbers surely impress, this isn’t the only element to take into account when opting for a smartphone for photography, especially as you may not need to print out billboard-sized images captured with your phone. Moving on, if you’re into selfies and sharing stories with your phone (who knows – maybe you’re an Instagram star! ), front camera resolution surely matters as well. Most phones nowadays feature a high-definition video mode, with 1920 x 1080 pixels at a frame rate of 30 frames per second. Flagship devices often have an ultra-high-definition video mode or 4K video mode in addition to the default HD mode, which means that they can shoot videos with a maximum resolution of 3840 × 2160px at up to 60fps. The widest aperture is another interesting element to keep an eye on; this property represents the amount of light that your smartphone’s image sensor is able to capture. Here, smaller numbers actually represent wider apertures and more light coming in, which can be helpful in low-lit environments, and which is decisive for image aspects such as sharpness and depth of field. The smaller the number, the wider the aperture… A bit confusing, I know, but we wanna help you make a well-informed decision, and you can still count on our selection of smartphones for photography. Let’s just cover a couple more relevant specs, so bear with me. The three final aspects we’d like to highlight are: dual-lens main camera, dual-tone LED flash and built-in optical image stabilization. The first feature allows the camera to capture two images and overlay them, which is favorable in low-light conditions, produces sharper images and allows for the use of special image-editing effects. Regarding phones equipped with a dual-tone LED flash, different color temperatures deliver superior color balance, and finally, built-in optical image stabilization technology utilizes the device’s gyro sensor to detect motion and vibration, making optical adjustments that guarantee smoother photos and videos. We've focused on smartphones that offer both noteworthy camera specs and groundbreaking photography technology – which, don’t worry, we’re gonna cover! 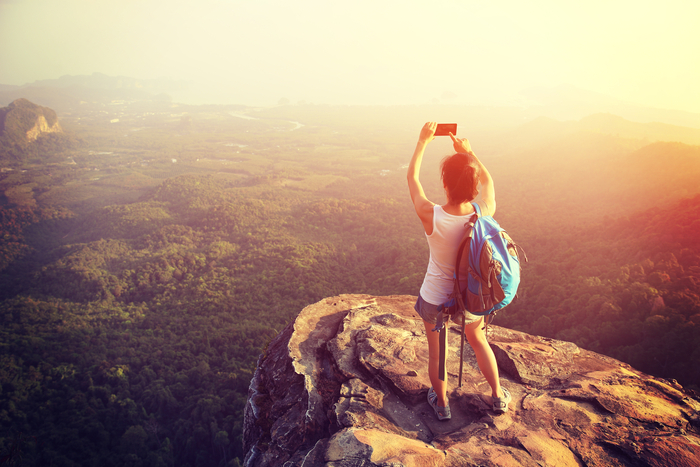 It’s time to check out our selection of the 9 best smartphone cameras! Despite not following the current dual-lens camera trend, Google's brand-new Pixel 2 XL and the smaller Pixel 2 (both of which have the exact same camera specs and technology) currently hold the highest score for mobile phones on the reputable DxOMark image quality ranking, and have quickly become many tech fans' #1 objects of desire. Powered by the latest Qualcomm Snapdragon 835 chipset, the Pixel 2 XL flaunts an OLED screen for deeper blacks and ultra-sharp images. The smartphone boasts an inventive dual-pixel technology, which captures and duplicates each image pixel with the device's single-lens, 12.2MP rear camera; unlike it may seem, this actually keeps Google's release in tune with the market's interest in features such as the bokeh effect, which softly delivers an out-of-focus background. The dual-pixel technology promises to identify and map each feature of a photo's primary subject, allowing only the background to be blurred; for every other high-end phone, this and other user-favorite effects demand more than one lens, but Google's new flagship does it all with its seemingly simple design and complex algorithm, for both its main and front-facing (8MP) cameras. With its new smartphone models, Google also makes photography better in low-lit environments, having expanded the main camera aperture to f/1.8 (so more light comes in). Furthermore, the Pixel 2 XL and Pixel 2 flaunt a new sensor, optical image stabilization, fast and improved dual-pixel autofocus, as well as HDR+ technology and free unlimited original-quality storage for all photos and videos taken with the devices until at least the end of 2020 (and a couple more weeks for certain territories); after that, you'll still be able to store image files taken with the Pixel at no cost, but in reduced quality. iOS lovers, behold: you can finally get your hands on the cutting-edge iPhone X! According to a report by Value Walk, Apple's anniversary flagship was sold out in less than 10 minutes worldwide during pre-order, but you can now buy it without panicking. This much-anticipated model was an instant hit upon announcement, and alongside its high-performance A11 Bionic processor, the flagship's powerful camera is one of the key reasons for such a high approval, positioning the iPhone X on the leading edge of mobile photography. Enhanced by the True Tone technology – which automatically adjusts the screen's white balance –, the 5.8-inch Super Retina OLED display works with a wide color gamut, helping you really see what you're getting with your state-of-the-art camera. With 12MP, quad-LED True Tone flash and a 2x optical zoom, the smartphone's main photography system comprises wide-angle (f/1.8) and telephoto (f/2.4) cameras, while its front-facing camera has 7MP and an aperture of f/2.2. 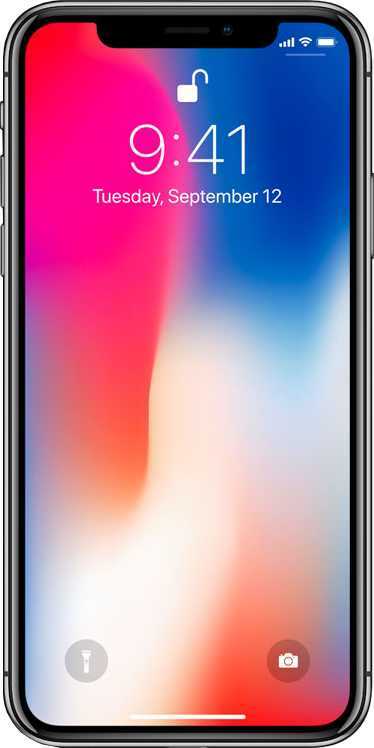 Moreover, the iPhone X is equipped with an image sensor that the manufacturer claims to be "larger, faster" than in previous versions, as well as optical image stabilization for both photos and videos – speaking of which, you can capture 4K videos at 24, 30 or 60fps, as well as slow-motion videos (1080p at 120 or 240fps) and time-lapse clips. The model's optical image stabilization functionality and an advanced image signal processor designed in-house make for outstanding images, and the flagship also features an improved Portrait Mode, which makes filters (such as blurred background, Studio Light, and Contour Light) look quite natural. The front-facing camera – named TrueDepth by Apple – also has a brand-new, super cool feature: it analyzes your muscle movements, showing you Animojis (like a panda, a cat and a robot, among others) that move their faces just like you, in real time! The Samsung Galaxy Note 8 has put an end to the Note series' bad reputation. With the exploding battery drama behind us, we can appreciate the new flagship in all its magnitude: a 6.3-inch super AMOLED infinity display, an improved S Pen, a very useful screen-off memo functionality, and of course, a potent camera setup. The Samsung Galaxy Note 8 is still the only smartphone that features optical image stabilization for both its rear cameras – a telephoto (f/2.4) and a wide-angle camera (f/1.7), with 12MP and 2x optical zoom. The front camera brings 8MP, smart autofocus with face detection, selective focus, an f/1.7 aperture for great performance in low-light conditions (just like the model's main wide-angle camera), and plenty of masks for selfie/live-streaming fun. An exciting innovation released with the Note series reboot is the Live focus feature, Samsung's take on the bokeh photography effect. Live focus allows you to adjust the level of background blur so that your subject can stand out as much as you want. Additionally, the new Dual Capture functionality focuses on what's outside your Live focus frame, giving you an additional photo from a wider angle. If your budget can't accommodate the new flagships from Google, Apple and Samsung, but you still wanna dig into new mobile camera technology, you may want to give the Sony Xperia XZ1 a shot. Running on the most recent Android version, Android 8.0 Oreo, and equipped with 4GB of RAM, Sony's flagship allows you to create high-resolution 3D images with your camera, thanks to an inbuilt camera software. You could even have a 3D scan of yourself. Or your dog. Cat. Mother. Or food... Though 3D prints are still inedible. Ok, I'll admit this was all a little strange, but you get the, uh, picture. The Sony Xperia XZ1 doesn't hold back on megapixels: 19MP (f/2) for the rear camera, and 13MP (also f/2) for high-quality selfies even in dimly-lit environments. Additionally, the smartphone's Motion Eye camera offers super-slow-motion speed to capture dramatic videos (up to 960fps), so there's no detail you'll miss. The main camera features Sony's award-winning G Lens, and the camera system is supported by the Exmor RS memory-stacked sensor. Additionally, with the Predictive Capture functionality, you'll have four images ready even before touching the shutter; you know when spontaneous moments lose their magic once you go for the camera button and everyone gets stiff? Problem solved. Finally, Sony Xperia XZ1's 5-axis image stabilization system works on both front and rear cameras, so relax and let shaky videos become part of your past. 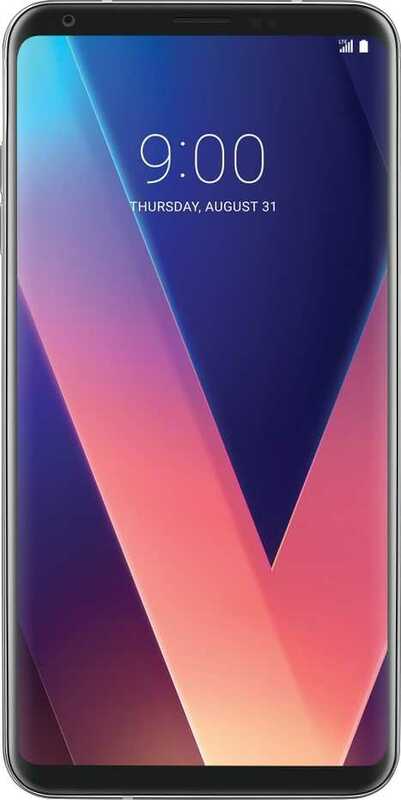 With its 6-inch QHD OLED display and 81.2% screen-to-body ratio, the LG V30 is sure to make you want to show your newly-taken photos and videos to your friends, and it shouldn't take a lot of effort for those images to look good. The LG V30's dual rear camera system comprises a 16MP standard-angle glass lens with a very wide aperture of f/1.6 (a first for smartphones! ), and a 13MP wide-angle (120 degrees, f/1.9) lens, whereas its front-facing camera has 5MP and an aperture of f/2.2. The LG V30 offers various new cool features: you can zoom in on any area within the frame, choose from 16 color grading presets for cinematic style (which the manufacturer assures won't degrade picture quality), and quickly edit your story – a good idea for social media sharing without having to rely on social platforms' native editors. The Samsung Galaxy S8 Plus may no longer be the brand's newest smartphone, but this doesn't mean the device has lost its place among the top picks for mobile photography. Whether you're not into using a stylus pen, or the Samsung Galaxy Note 8's price tag had scared you away, or you're just loyal to the Galaxy S series, it's very unlikely that the Galaxy S8 Plus' camera system will let you down. The Galaxy S8 Plus doesn't comply with the dual-lens/dual-camera trend (although Samsung has since gone a different way with the Galaxy Note 8), and still delivers first-rate photos and videos. The phone is equipped with a 12MP f/1.7 main camera, with high CRI (color rendering index) LED flash, a dual-pixel sensor and optical image stabilization. Its secondary camera features 8MP, the same aperture, and its field of view allows for wide-angle selfies, making it one of the top choices for selfie addicts. The phone's manual photography mode has been consistently praised by users as easy to use, and you can record 4K videos at 30fps, as well as slow-motion videos at 720p and 240fps. Other interesting features are the software-based Selective Focus, face-tracking autofocus that's great for group selfies, and the option to choose different selfie stickers for fun memories. When sticking only to the most famous brands, users may miss out on other outstanding options, and we wouldn't want such a top contender as the HTC U11 to go unnoticed. Having excelled in DxOMark tests for mobile photography, this smartphone kept the #1 spot on the reliable ranking for a long time, even when reviewed under an updated protocol. 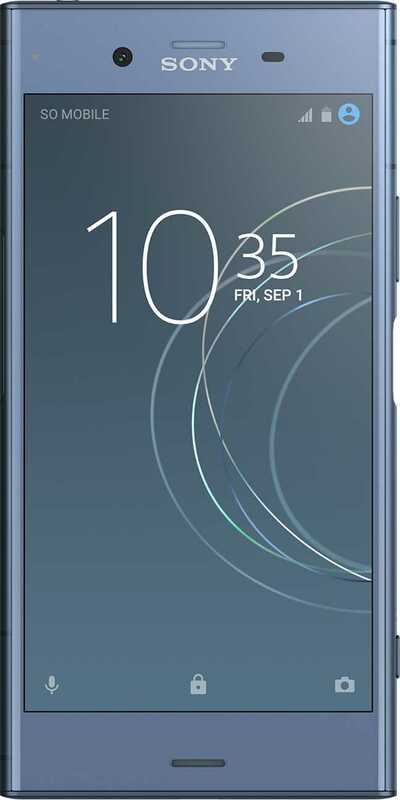 The HTC U11 features a 12MP f/1.7 main camera with optical image stabilization and dual LED flash, and a front-facing camera boasting 16MP (f/2 aperture). It also has a multi-axis optical and electronic image stabilization system, HDR Boost technology and a very fast autofocus. While a lot – if not all – of the latest smartphones emphasize on their performance in low-light conditions, the ability to take photos in bright environments without a washed-out outcome is also an important feature to consider, and the HTC U11 has been applauded for its results, as well as for its low-light performance. The phone hasn't performed so well, however, when having its bokeh mode and zoom function analyzed (it features no optical zoom). With the Huawei P10 Plus, the Chinese brand further develops its partnership with Leica, the German manufacturer of high-end cameras and lenses whose products 10 out of 10 photography aficionados would love to own. Like its predecessor, the Huawei P9 Plus, the Huawei P10 Plus was co-engineered with Leica, which set the bar extremely high for Huawei's latest flagship. The Huawei P10 Plus doesn't disappoint: it is powered by the Kirin 960 chipset and has a rear camera system featuring both a 20MP monochrome camera and a 12MP RGB camera, with a f/1.8 aperture, dual-tone flash, optical image stabilization, hybrid zoom and 4K video recording. As for the front-facing camera, 8MP and an f/1.9 aperture may not seem that exciting, but it does have appealing features, such as automatically detecting group selfies and switching to wide-angle shots as more people enter the frame (by the way, the manufacturer has actually trademarked the expression groufies, which I would rather not ever write again). The Huawei P10 Plus is also in tune with the consumers' demand for top-notch bokeh effects, promising "stunning artistic portraits with natural bokeh effect" by enabling wide aperture. In case you haven't heard of Beijing-based electronics manufacturer and software developer Xiaomi, their striking Xiaomi Mi 6 is the perfect introduction. Powered by the Snapdragon 835 processor and a whopping 6GB of RAM, this smartphone caters for all current demands and trends: it has inbuilt 4-axis optical image stabilization, a dual-tone LED flash, two main cameras (a 12MP wide-angle and a 12MP telephoto), and a carefully-crafted portrait mode for optimal bokeh effect. If that wasn't enough, the Xiaomi Mi 6 features 2x optical zoom, shoots 4K and slow-motion videos, and its 8MP front camera allows for real-time "beautification" for 1080p video calls – just to be clear, I'm all for empowerment and I'm not saying anyone needs to beautify themselves, but I'm here to inform and the feature is indeed available, promising to "accurately locates facial features using hundreds of positioning points." Don't Upload Pictures of The Eiffel Tower To Facebook! What If Google Earth Could Be Updated Everyday?